I have quite an extensive collection of football programmes. They’re not all from games I’ve attended – in fact an awful lot aren’t – but they still conjure up some memories just thinking about them. For example, in the collection and thanks to my late Uncle, there is every match programme (and in one case, newspaper) from Aston Villa’s successful European Cup run in 1982. That includes programmes from Valur in Iceland (the paper), Berlin, Kiev, Anderlecht and from the final itself, in Rotterdam (the English and German versions don’t you know?). Fittingly, as I write this on the Wednesday of the Champions League semi-final, there is the programme from Liverpool’s 1977 European Cup Final versus Borussia Monchengladbach in Rome. Not even sure where that one came from. There is also the 1954 FA Cup Final (West Brom v Preston), the 1969 final (Leicester City v Manchester City) which my Dad went to although he can’t recall how he ended up with a ticket. There is even a brochure style tournament one for the 1966 World Cup and hundreds of games involving West Midlands clubs from the fifties through to the nineties. There are ones that have meaning; a play-off final, promotion clinching match, relegation-sealing match (they don’t exclusively have to be good memories), a giant-killing maybe, and ones that have no meaning I know of beyond the match itself. There are ones that I recall because of an incident that took place during the match – for example, a Walsall v Derby eight-goal thriller in the Freight Rover Trophy of 1985; memorable not for the goals but because a Mitre Delta, via a mistimed clearance by John Robertson, hit me in the face. There are non-league programmes, testimonials; even a few from games I played in including one where the match report from the previous game reads as if I was the only player on the pitch and which I kept just to prove to my kids that I did have at least one decent match. But don’t ask me to lay my hands on it or indeed any of them anytime soon. Why? Because they are safely stored in a loft, sixty miles away from my house and the last time I skimmed through them was about nine years ago. That’s the thing about a programme. It’s very much of the moment and even if it’s a great read on the day of the match, we won’t look at it beyond that and it will eventually be discarded or even if it’s kept; it will probably be untouched for years if not forever. And this week, the question of whether that moment has been and gone was asked when the EFL announced they would vote in the Summer on whether clubs had to produce a compulsory publication for every home match next season. As you’d expect, the very question has proved divisive but that’s because it’s all a matter of perspective. Some fans of a certain age will cry foul if programmes are no longer produced. 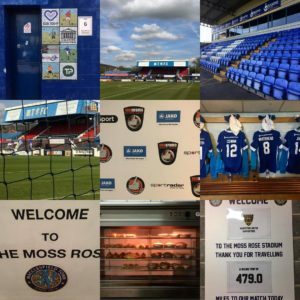 Having a tangible, maybe even collectable, item to buy and take away is a staple part of the match day experience and has been since the late 1800s – so there might even be some programmes around from games my colleague, Mark, played in or at least went to! (That’s a yellow card! – Ed). Aforementioned Villa, from the outset, urged fans to collect their News & Record, and during the subsequent decades football programmes evolved from the single sheet or card with the line ups on, to lengthy and informative publications that were as necessary a feature of being at a football match in the pre-Premier League days as a bog roll being thrown onto the pitch when the teams came out. More recently, the ante has been upped with some incredibly well designed and presented programmes that approach 80-100 pages and are full of interesting, researched and relevant facts, information, statistics, articles and features plus lots of great photos and of course, adverts, that enable clubs to make revenue from them on top of the three-pound (by far the most common in the EFL) purchase price. And the great work isn’t confined to the Premier League and EFL. There are some stellar non-league programmes out there and the trend is the same in the Women’s League with, to pick out one, Watford Ladies, having 52 pages packed with features, articles, pictures and a clever image of a player each match on the front and back. But despite the quality, the clubs have asked the question because of the decline in sales (estimated at around 15% of the attendance and shrinking) and the rise to prominence of social media and digital content. Clubs can’t make significant, if any, returns on the match programme any longer and as sales continue to fall, so they might end up losing money for a club if they have to print them. And the resources and efforts that go into producing it are huge. 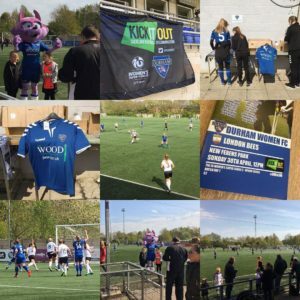 As Carolyn Radford, chief executive of Mansfield Town, told the Guardian this week, she recognised the sense in abolishing the programme for financial grounds, but this, she added, missed another point and that was a way of connecting the fans with the club. “We’d always have a programme because it’s a voice from the club to the fans” she said, promising that a print will continue regardless of the vote’s outcome but also recognising the fans’ hankering for nostalgia and tangibility. “It’s part of the fabric of the club and an important piece of memorabilia, a collector’s item. I know we’re moving more online, but it’s different having something to hold. But just because it’s a part of football’s past it doesn’t necessarily mean it has to be part of its future, as the back pass proved. Or at least it doesn’t have to stay exactly the same. Clubs are taking advantage of digital channels much more readily now, and the lower costs and wider reach give this medium obvious benefits. The ability to change details at short notice, always keep it completely up-to-date and to share across various social networks makes it an increasingly attractive as a new ‘voice from the club’ but, of course, there are some fans who don’t use those channels and you can’t keep a pile of digital copies under your bed or in the back of the wardrobe – not without great difficulty anyway. Digital publications (including videos) are increasingly a part of match day already. 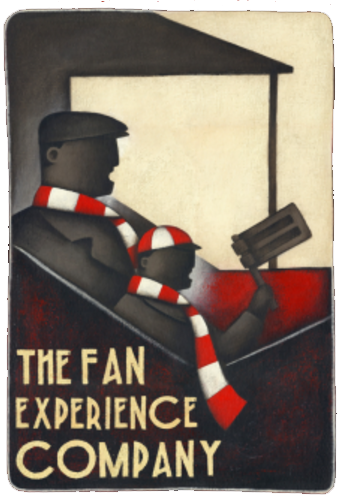 Some clubs already have an electronic copy of the programme and the way some clubs have digitised their match day guides, for example, isn’t a million miles from a match programme and it doesn’t take a great leap to see how, Doncaster’s for instance, could be developed into a fully online publication that changes for each game. When a club, has they have this winter/spring, face multiple fixture postponements, a non-printed version begins to make a lot of sense. There are other factors to consider such as sponsorship and advertising, the role that Fanzines might play in future and the appeal of a physical programme to young fans – especially with a great kids’ section although to hold up Donny Rovers as an example again, they’ve already made that a separate thing – but I doubt we’ll ever get away completely from the collectable issue. On that subject, and letting nostalgia run away with me a little, the most expensive football programme ever sold, went for a world record £35,250 and was from the Cup Final of 1882 between Blackburn Rovers and Old Etonians at The Oval, but one of the rarest (and a snip at auctions for a mere £4,500) was from the Wembley Cup Final of 1924 because so few remain as the match was played in torrential rain and fans made the programmes into hats. But, as much as I hate to say it because I’m one of them, the older don’t-like-change generation aren’t the future and eventually we’ll run programme sales into the ground if they are relying solely on us to keep it afloat. Sooner or later, the football programme as we know it, is going to fundamentally alter, for better or worse. This vote, or possibly the one after it, might signify the end of an era but it might also shepherd in a new way forward for digital match day programme publication that, like the back-pass rule, us fans will eventually accept and maybe even finally come to embrace. But just don’t try keeping your head dry with it! Next Post ARE THERE THINGS UK FOOTBALL CAN LEARN FROM DENMARK? PROBABLY.